Join Adrian Moreno today from 10:00AM to 11:00AM for the FREE CrossFit Amundson Community Workout. 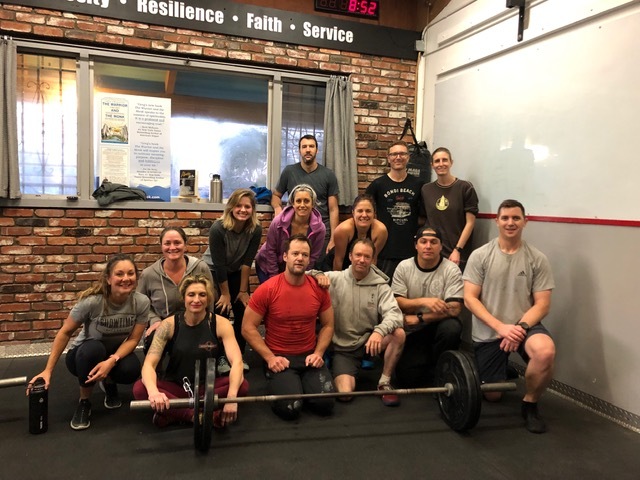 This workout is open to all levels and is a great introduction to the CrossFit methodology, and also a great way to connect with the Santa Cruz and Pleasure Point community. We look forward to seeing you there! “The Truth is you are beautiful. You are handsome. You are strong. You are well-able. You are courageous, and most importantly, God is with you. That’s the Truth.” ~ Greg Amundson. (An excerpt from Faith Works Ministry on Wednesday evening. Reference 1 Samuel 16:18,) For the full Faith Works Ministry Message with Coach and Jonathan Stowers, follow THIS LINK.